The Rain Drops New Trailer, Release Date | Nerd Much? 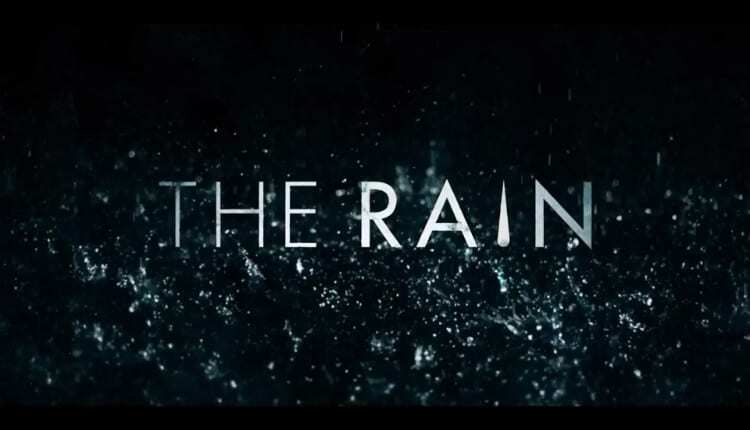 Netflix has released a new trailer today for their upcoming original post-apocalyptic series, The Rain. And as far as modern post-apocalyptic series go, this one looks par for the course – just dangerously wet. “The world as we know it has ended. Six years after a brutal virus carried by the rain wipes out nearly the entire population of Scandinavia, two Danish siblings emerge from the safety of their bunker to find all remnants of civilization gone. Soon they join a group of other young survivors and together they set out on a danger-filled quest through abandoned Scandinavia, searching for any sign of life. The show represents Netflix’s first Danish original series for the streaming platform. Jannik Tai Mosholt, Esben Toft Jacobsen and Christian Potalivo are listed as co-creators. It stars Alba August, Mikkel Boe Følsgaard, Lucas Lynggaard Tønnesen, Lars Simonsen, Iben Hjejle, Angela Bundalovic, Sonny Lindberg, Jessica Dinnage, Lukas Løkken and Johannes Kuhnke. A major motif for the show appears to be the question “Who will you be when the rain comes?” So it sounds like the show will explore themes similar to something akin to The Walking Dead. When the apocalypse hits, it’s not necessarily the rain (or zombies) that are the major threats. It’s humanities’ downward spiral in which you should be truly afraid. This show looks to have a primarily young adult cast too. So we may be seeing this post-apocalyptic world from a younger set of eyes than most typical takes on the genre do. We won’t have long to wait to see if The Rain comes down strong. The show premieres on Netflix May 4th.